A lot of physical therapists don’t consider what it takes to be great businessman or businesswoman and invest the time and energy into that like they did to become good physical therapists. 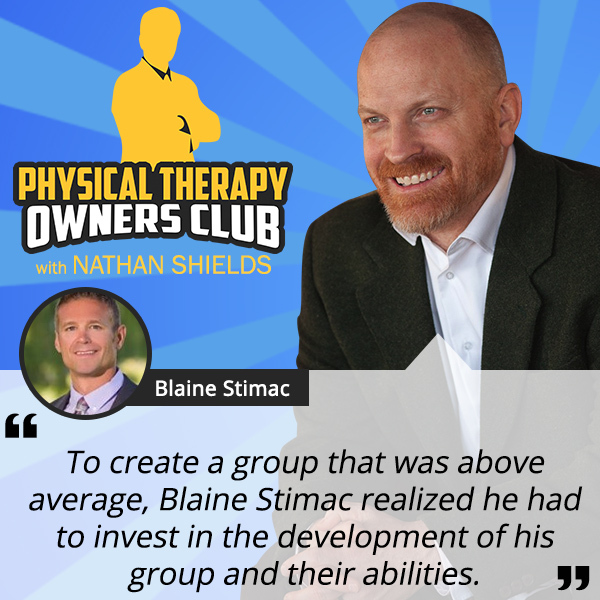 Blaine Stimac is one of the more successful PT owners who has 23 practices across four states and was ranked #255 on the Inc. 5000 list in 2017. In 2017 HRS Ranked #255 on the Inc 5000 list. Facing the uncertain world of health-care reform, Blaine Stimac, a physical therapist and owner of Professional Therapy Associates, ignored the trend of health-care providers fleeing private practices for jobs in a hospital setting. The mission of Health & Rehab Solutions, Inc. (HRS), is to create physical therapist owned practices renowned for business success and healthcare excellence. Through HRS’s expert guidance and specialized business model, practices will overcome the barriers hindering private practice and will flourish in the current and future healthcare environment. Health & Rehab Solutions, Inc. Copyright © Health & Rehab Solutions, Inc.. All Rights Reserved.